Ayesha Mehendi Artist, Mumbai has been in the industry from the past 10 years and specialize in all types of Bridal Mehendi such as Arabic, Dubai, Mughlai, Marwadi, Glitter mehendi and many more. 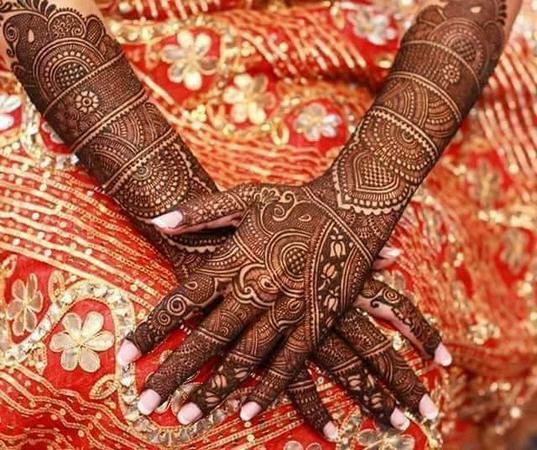 You are sure to look beautiful with intricately designed mehndi by Ayesha Mehendi Artist, Mumbai. Ayesha Mehendi Artist is a bridal mehndi artist based out of Santacruz East, Mumbai . Ayesha Mehendi Artist's telephone number is 76-66-77-88-99, address is Abdul Wahid, Chawl room No 5, Golibar Masjid Road, Santacruz East, Mumbai - 55. In terms of pricing Ayesha Mehendi Artist offers various packages starting at Rs 3500/-. There are 0 albums here at Weddingz -- suggest you have a look. Call weddingz.in to book Ayesha Mehendi Artist at guaranteed prices and with peace of mind.